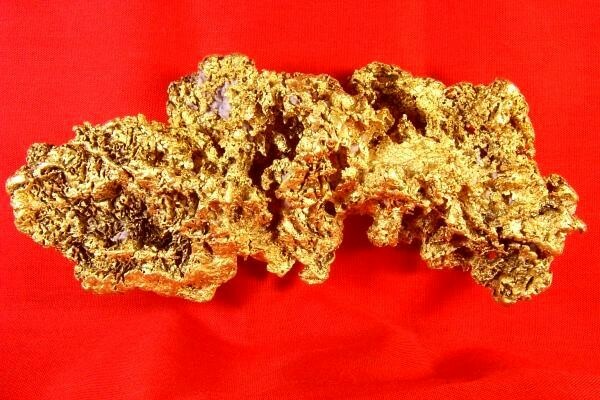 This gorgeous crystalline gold nugget is huge and rare. First of all it is not often that you see such a large gold nugget come out of Alaska. 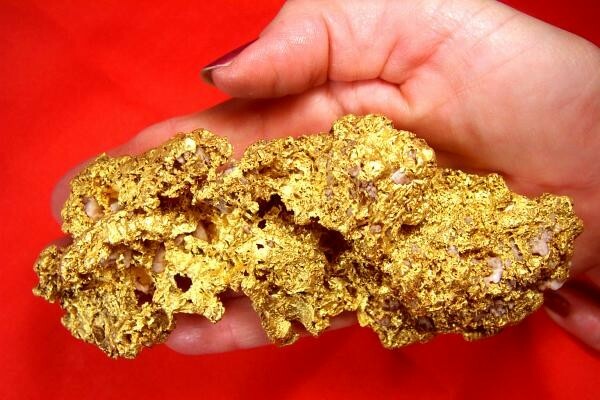 Second, it is even rarer that you see a large crystalline gold nugget come out of Alaska. It weighs a total of 18.97 Troy Ounces (590.1 Grams). 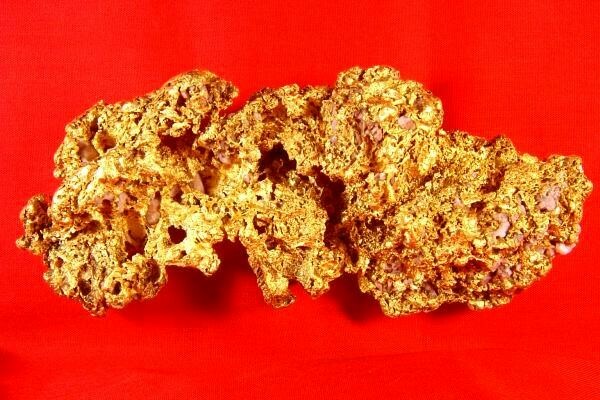 It is priced extremely well for such a rare crystalline gold nugget. You would expect to pay a lot more for such a rare gold specimen. It is a real handful at 5.5" long x 2.5" wide x 1" thick. It was found in the Yukon River in Alaska. A gold specimen like this one is categorized as "Museum Grade" because the proper place for a spectacular gold nugget of this caliber is in a museum. Now you can own it for your private collection. You will probably never have another chance to purchase such a stunning museum grade gold specimen like this.